Buy it now or bid instantly on anything on eBay. 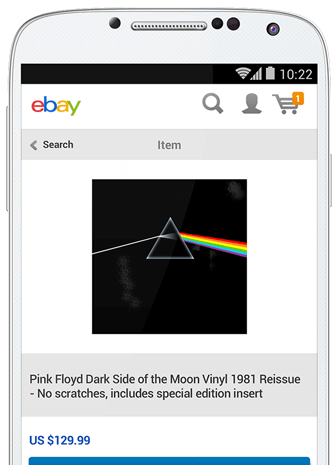 New or used, we provide easier eBay payment methods and process every single purchase more securely with ease. Simply login, check out, and wait for the doorbell. Make an eBay payment with credit cards, PayPal balance or however you want, without revealing your full financial information using PayPal. Then go about your business. Your purchase is on its way. Millions of eBay sellers around the world prefer PayPal. You can shop and pay safely. 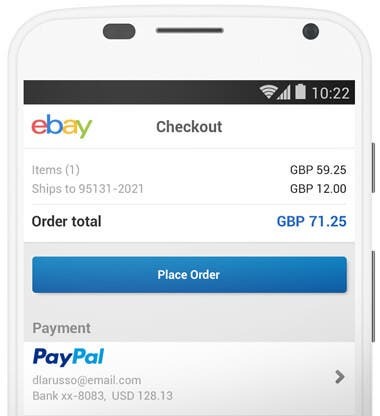 If you choose to stay logged in on the eBay app, you won’t even need to enter your PayPal details every time you buy. Buy from eBay sellers around the world. No transaction fee when you shop with PayPal. If you pay in a different currency, a small currency conversion processing fee applies. Keep all your credit cards in one place and pick one when you need it. Plus you can continue to get your miles, points or card rewards. Simply log in with your email address and password. 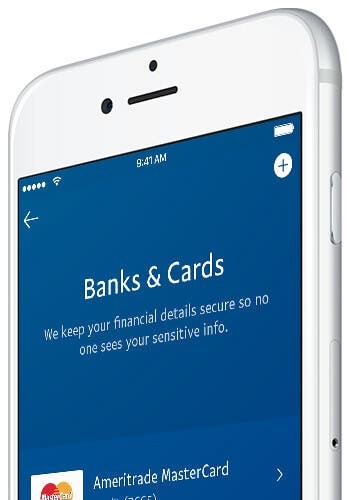 The most important is we help keep your personal and financial information securely encrypted. With PayPal, I’m able to purchase exclusive clothing and bags online that my country doesn’t have. The world’s largest online marketplace, is now open to you. PayPal’s eBay payment options bring buyers and sellers together, reducing steps and costs. The only middleman is the postman. One pair of shoes is sold every 2 seconds on eBay. PayPal lets you pay the bill faster.